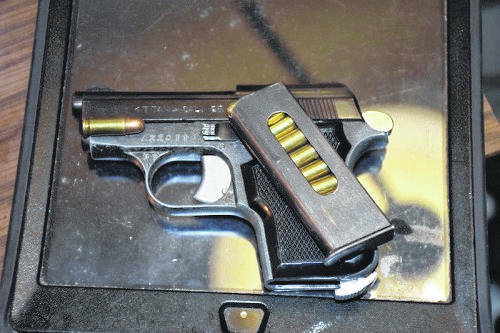 One of two loaded weapons police say belonged to the suspects in Wednesday’s drug bust. A package pf suspected narcotics allegedly found in a motel room on Scioto Trail. 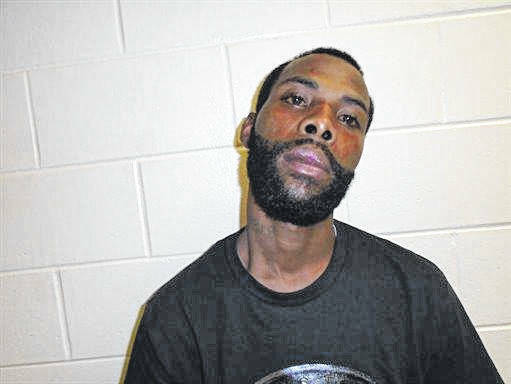 At 4:12 a.m. Wednesday Portsmouth police arrested two suspects, confiscated 76 grams of suspected heroin, 45 grams of suspected methamphetamine and two loaded handguns, one of which was reported stolen. Police had executed a search warrant of Room212 at the Four Keys Motel, 2302 Scioto Trail. Officers allegedly located a third handgun inside the vehicle one of the suspects was waiting in. In a press release, Police Capt. Jason Hedrick said the suspects were processed into the Scioto County Jail. The men arrested were identified as Cobrae Townsend, 27, of Xenia, and Vedo Townsend, 32, of Florissant, Mo. Hendrick did not say if the two men are related. Both suspects have so far been charged with trafficking in heroin, a first-class felony, and trafficking in methamphetamine, a second-class felony. Additional charges will be considered when the case is presented to the Scioto County Grand Jury. 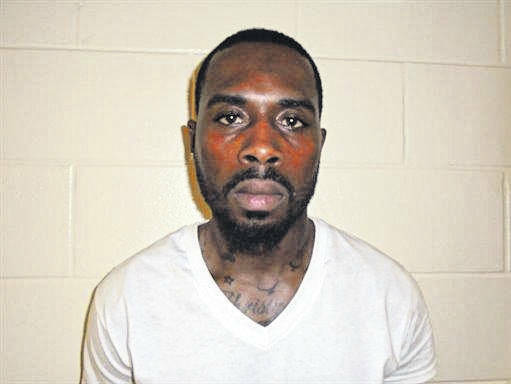 Anyone with information about this case or other drug-related tips is encouraged to contact the Portsmouth Drug Hotline, 740-354-DRUG or contact the Portsmouth Police Department directly at 740- 353- 4101.
https://www.portsmouth-dailytimes.com/wp-content/uploads/sites/28/2018/06/web1_gun-smaller.jpgOne of two loaded weapons police say belonged to the suspects in Wednesday’s drug bust. 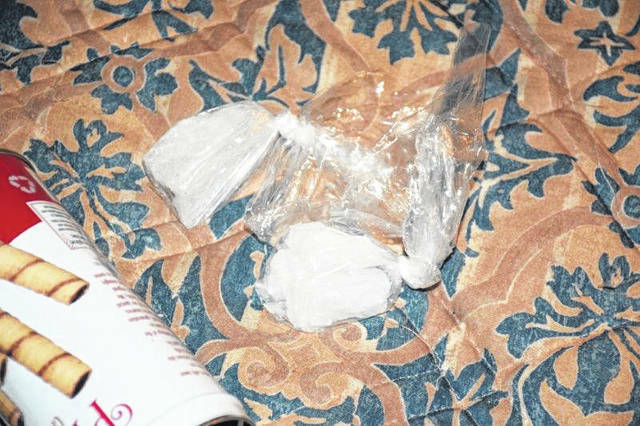 https://www.portsmouth-dailytimes.com/wp-content/uploads/sites/28/2018/06/web1_suspected-heroin.jpgA package pf suspected narcotics allegedly found in a motel room on Scioto Trail.